In an increasingly interconnected world, there are more ecological, social, cultural, political, and economic changes than ever before. These various processes, which are summarized in the social sciences under the label of “globalization,” lead to a very complex connectivity. Taking the Kalaallit, the Greenlandic Inuit, as an example of indigenous people of the North, it can be stated that global interactions affect daily life in Greenland. The aim of this article is to approach these complex interactions on the basis of Greenlandic foods, which is called kalaalimernit in Greenlandic. Globalization can be interpreted as imposing a pressure on Greenlandic foods because of economic, political, and environmental influences. Nevertheless, globalization gives the actor “Greenland” the opportunity to become a self-confident player in the global politics of power. The global flows of ideas such as “human rights” and “democracy” enable Greenland’s Self-Rule Government to push ahead a successful nation-building process. Central elements of the distinctive Greenlandic culture are the Greenlandic language and the Greenlandic foods of the hunting complex. The argument of this contribution is that Greenlandic foods are suitable to establish a distinctive group with a collective Greenlandic identity because through the consumption of this kind of foods it is possible to construct cultural boundaries: Inside the country, local foods are used to mark a separation from Danes, and outside the country, Greenlandic foods work as a conscious distinction from the rest of the world. Foods function as a predicament of its own for the Greenlandic culture that it is necessary as well as risky to keep on eating kalaalimernit. The research in Greenland on which the article is based was made possible through a research grants provided by the German Research Foundation (DFG) and the German Academic Exchange Service (DAAD). I thank Grete Hovelsrud for critical and constructive comments on a previous version of this article. 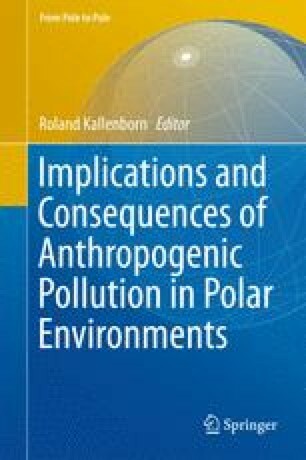 Roland Kallenborn has my heartfelt thanks for his patience and support throughout the extended process of writing my chapter. My utmost gratitude is extended to my interviewees in Greenland. Without their hospitality, kindness, and participation my research would not have been possible.